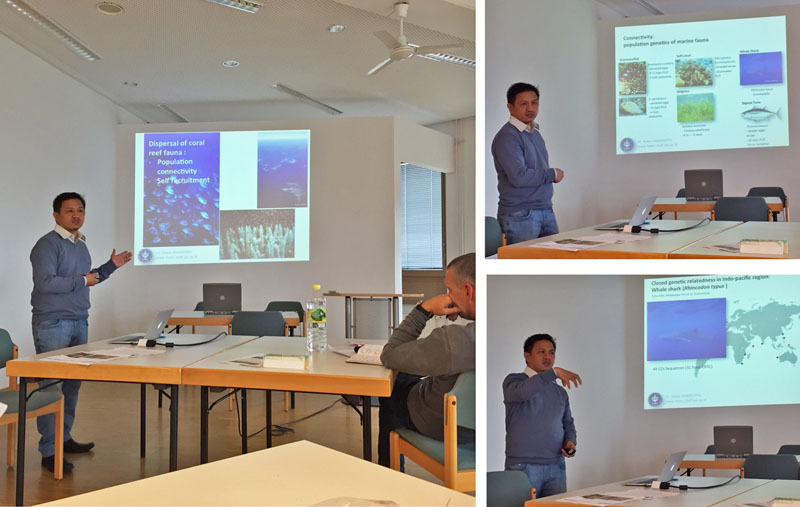 From 14th to 27th September 2015 EMBRIO Vice Director for Research Training & Education, Dr. Hawis Madduppa, visited the German EMBRIO partner Prof. Dr. Peter Schupp at the Institute for Chemistry & Biology of the Marine Environment (ICBM), University of Oldenburg. The visit was conducted in the framework of a joint research project within the RISTEK-DIKTI scheme “International Collaboration & Publication” initiated by EMBRIO International Senior Advisor Dr. Carsten Thoms. The aim of the cooperative work is to “Counteract Loss of Biotechnological Resources & Ecosystem Functions caused by potentially Climate Change-driven Sponge Invasions into Indonesian Coral Reefs”. 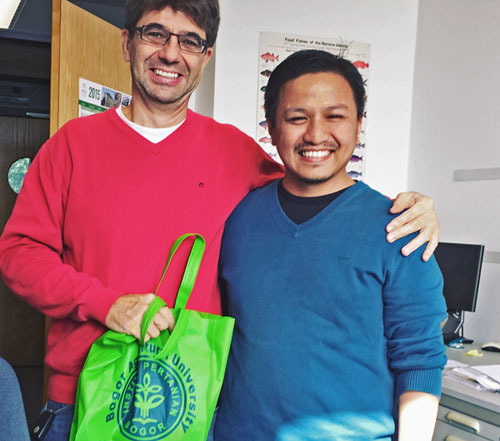 The purpose of Dr. Hawis Madduppa’s visit to Germany was capacity-building in chemoanalytical techniques Prof. Schupp’s laboratory is specialized in as well as discussions on the further collaboration. Moreover, Dr. Hawis Madduppa gave a lecture to students of the Marine Environmental Studies Program of ICBM.